Riding off the production line comes the 6th generation RX vehicle from Lexus. The 2015 year model will be known as Lexus RX 450h and it is the continuing model of the Lexus coupe hybrid vehicles that have made its debut for the first time in 2006. Back then, the RX vehicle was known as the 400h and was one of the first electric powered SUVs on the market. Now it manages to continue on this concept with new design and some interesting new features to update the hybrid model from Lexus. Generally speaking, what the newest Lexus RX is going to have are fuel economy stats of a sedan vehicle, the power of a V-8 engine and the luxury and comfort of a high end luxury car. This nice little package all rolled into one is a totally nice concept and all of these characteristics make it a super Frankenstein’s monster. The RX is a confirmation that Lexus knows its way around designing a hybrid vehicle the same way as designing a premium performance vehicle. Combining the great knowledge and experience the designers from Lexus have, this car is one which will surge into the top of competition immediately on its release. Although, the lack of an updated package is something that we are looking forward in being changed for the future we are still sure that the car makes a hit. 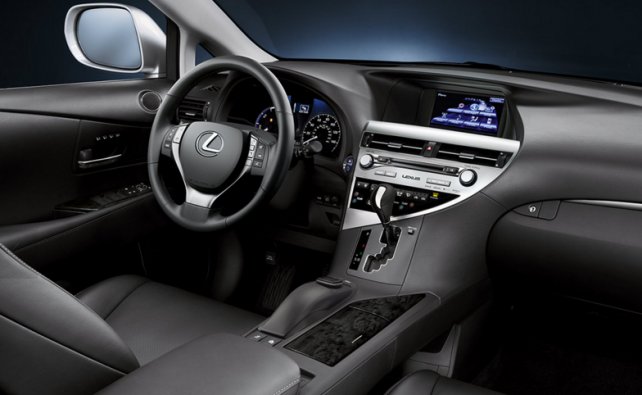 Last year’s model was greatly updated when the Lexus RX 450h receive much or its new design features. The car was remodeled, reshaped and updated and also received its trademark Lexus spindle grille as well. So what to do this year? The answer is apparently not that much. You essentially have the same car with very little changes. The grille is still kept from the previous year while all of the updates that were brought to the RX last year were carried over for this year as well. It is a new car but with very little new about it actually. But this does not mean that the 2015 Lexus RX 450h is totally the same as the 2014 model. The new lights, both ant the front and back, include an updated technology and actually a choice between HID an LED. Also the Lexus Luxury Package will come out for the car this year as well and will include updates such as triple triple-split five-spoke wheels of 19-inches and a gray paintjob and machine finishing as well. Actually the inside has not changed the design as well but not in the dramatic fashion like the outside. The thing that is carried over from the previous year is the design but there are a lot of updates for the new version. For instance, the thing that grabs our attention the most is the Standard Display Audio with a seven-inch screen. And to make the interior feel more comfortable there are the 10-way power front seats with power lumbar adjustment. In front of you is the leather-wrapped three-spoke steering wheel with integrated audio controls with an integrated multi-information switch that makes it easier for drivers to access function settings in a convenient way. Throw in there a 12-speaker Lexus Premium Audio System, Bluetooth audio streaming, SiriusXM Satellite Radio, USB/iPod control but also the reliable and good old CD player with updated features is also given there. And for higher trims and additional power there is also the optional 15-speaker Mark Levinson Surround Sound system that delivers 330 total watts. And finally, to wrap things up is the Lexus’ Enform connectivity system, which enables the users to customize their smartphones that way. 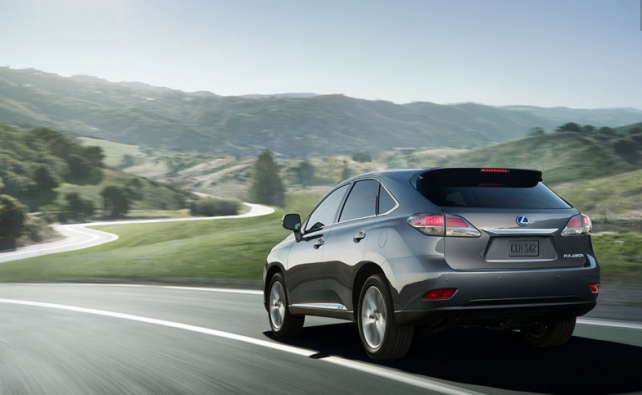 The 2015 Lexus RX 450h is a full on hybrid and like that has the ability of offering various options when driving. There is the electric-only, gas-engine-only and combined gas and electric modes respectively. This is possible through using the combination of a 3.5-liter V-6 engine 116-kW electric motor generator mounted in the front. The combined output allows for 295 horsepower, allowing it to hit 60 mph in 7.8 seconds. But unfortunately the top speed is electronically limited to 112 mph, which may seem disappointing as the car provides such great specs and a lot of potential. You also have the choice of selecting from 4 different driving modes, so besides the normal mode you have the EV mode, Eco mode and Sport mode. Each mode has its own advantages and can be used interchangeably. 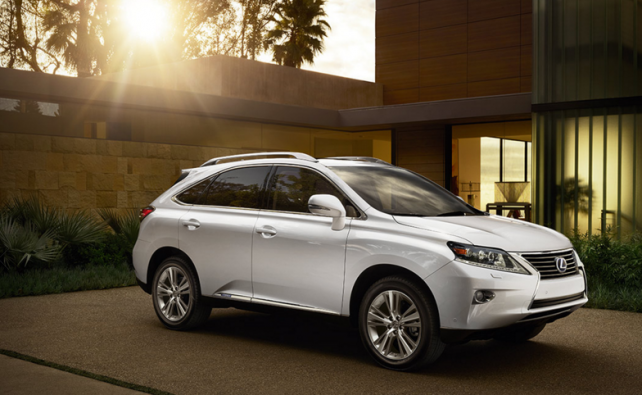 The release date states that you will be able to drive your new 2015 Lexus RX 450h as late as the beginning of next year. And to do that you will just need to pay an appropriate sum of $48,355. But if you want all the updated options and some new key features and additions, the price tag can go as up as $50,000.